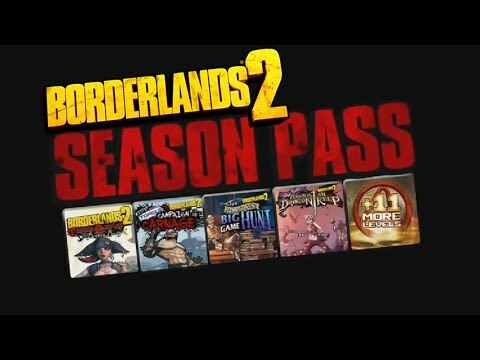 Enhance your Borderlands 2 experience with all new content! Unauthorized copying, reverse engineering, transmission, public performance, rental, pay for play, or circumvention of copy protection is strictly prohibited © 2017 Gearbox Software, LLC. Published and distributed by 2K Games. Gearbox Software, Borderlands, and the Gearbox and Borderlands logos are trademarks of Gearbox Software, LLC. 2K Games and the 2K Games logo are trademarks of 2K Games in the US and/or other countries. Unreal, the circle-U logo and the Powered by Unreal Technology logo are trademarks or registered trademarks of Epic Games, Inc. in the United States and elsewhere. Uses Bink Video. Copyright © 1997-2017 by RAD Game Tools, Inc. This software product includes Autodesk® Scaleform® software, © 2017 Autodesk, Inc. Autodesk and Scaleform are registered trademarks or trademarks of Autodesk, Inc., and/or its subsidiaries and/or affiliates in the USA and/or other countries. Powered by Wwise © 2006 - 2017 Audiokinetic Inc. © 2017 NVIDIA Corporation. NVIDIA, the NVIDIA logo, GeForce, PhysX, The way it’s meant to be played, and 3D Vision are trademarks and/or registered trademarks of NVIDIA Corporation. Published and distributed by Aspyr Media, Inc. “Aspyr” and the Aspyr “star” logo are federally registered trademarks of Aspyr Media, Inc. Mac and the Mac logo are trademarks of Apple Computer, Inc., registered in the U.S. and other countries. The ratings icon is a trademark of the Entertainment Software Association. All other marks and trademarks are the property of their respective owners. Non-transferable access to special features such as exclusive, unlockable, downloadable or online content, services, or functions may require single-use serial code, additional fee and/or online account registration (17+). Access to special features may require internet connection, may not be available to all users, and may, upon 30 days notice, be terminated, modified or offered under different terms. ne play and download requires broadband internet service. User responsible for associated fees. All rights reserved.